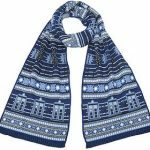 Now there is this Doctor Who Scarf With The Tardis And The Stripes Of The 13th Doctor. 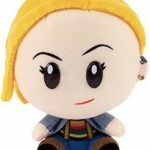 This is not just any Doctor Who scarf, this is one based on the 13th doctor. 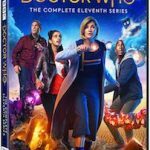 The scarf has stripes in the middle and colorful tassels to and they are in the colors we all know from the outfit of the 13th doctor. 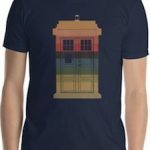 And besides the colors you can also big images of the Tardis on it. 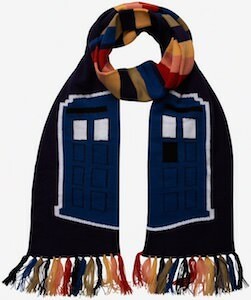 Now you can be warm all winter all thanks Doctor Who and this amazing looking scarf that is made for the cold days.